The European Parliament will this evening hold a debate about the rule of law in Malta and Slovakia, with a resolution expected to call for the publication of the Egrant inquiry report, the holding of a public inquiry into journalist Daphne Caruana Galizia’s assassination and a halt to Malta’s passport sales scheme. 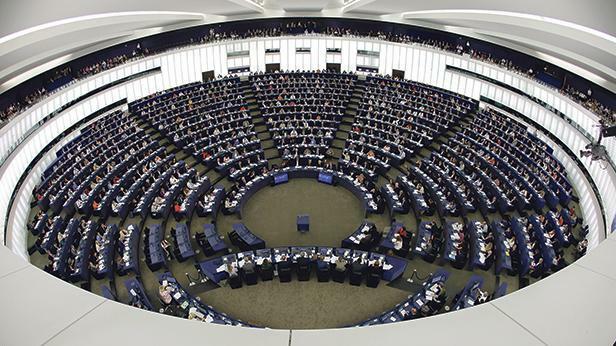 A cross-party group of MEPs on the civil liberties committee adopted the draft resolution in February, expressing serious concerns over the fight against corruption and organised crime, the impartiality of law enforcement and judicial independence in Malta and Slovakia. Since the draft resolution was adopted, authorities in Slovakia charged entrepreneur Marian Kocner, who has business links in Malta, with masterminding the murder of Slovakian journalist Jan Kuciak. Mr Kuciak had been investigating the Slovakian millionaire’s business affairs prior to his murder. Prime Minister Joseph Muscat told journalists last week that charges would only be brought against more people allegedly involved in Ms Caruana Galizia’s assassination once enough evidence was secured to ensure a successful prosecution. Three men were arrested and charged two months after she was killed in an October 2017 car bombing. Seven other men were also arrested in December 2017 but released without charge. The resolution about Malta urges the European Commission to enter into a dialogue with the government in the context of the rule of law framework, a three-stage process whereby Brussels issues an assessment, makes recommendations and monitors the member state’s follow-up. Malta has already been on the receiving end of an opinion by the Venice Commission, highlighting deficiencies in its institutional setup. The request for the review was submitted by Dutch MP Pieter Omtzigt, who is preparing a report about the assassination and the rule of law in Malta. No precise timelines have been given as to when other Venice Commission recommendations, including the setting up of a judicial appointments committee independent from the government, will be implemented.